In The Counselors, some of this country’s most interesting history-making women take time to share their stories about pain and triumph—as though they were chatting with you over a cup of coffee—with the hope that that their experience might help you along your way. Janet Reno shares that she grew up in a log cabin in the Everglades, and her mother wrestled with alligators. Pat Schroeder talks about serving in the U.S. Congress and running for president. Sandra Day O’Connor tells us about the old-fashioned separate spheres for women and men in American culture, the suffragettes, and her zigzag path to the Supreme Court. Ruth Bader Ginsburg talks about about gender discrimination. The women profiled are all recipients of the Margaret Brent Award, which was founded by Hillary Rodham Clinton. She established it when she served as Chair of the American Bar Association Commission on Women in the Profession, in order to recognize trail-blazing women. The inside scoop from recipients of an award recognizing women who have achieved excellence. A celebration of the modern American woman’s journey. Lessons on the nature of leadership and developing leadership. A source of inspiration to make a plan or take a risk. A tool to use to improve the effectiveness of your career efforts. Stories to share with friends. Maybe your call to action? Their story is your story. The story of women in American culture is a vibrant and changing story. The energy and dedication of a generation of women has transformed the world. The future depends on what we do with what they have done for us. We’re not there yet, and we have unfinished business. As we continue to ascend, assimilate, and integrate, it is now more important than ever to learn the stories of women who break new paths, open doors for others, and crash through glass ceilings. Their stories—and their example—give us hope and confidence. 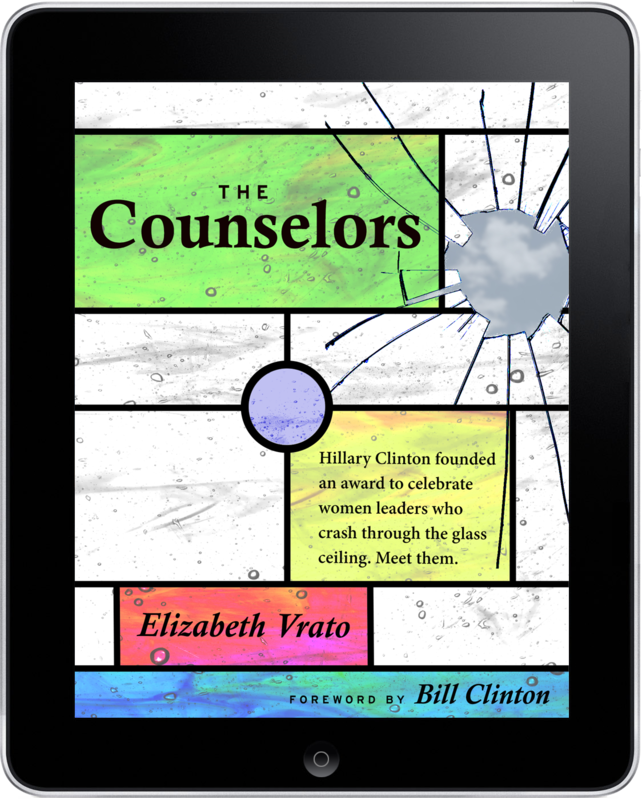 Get your copy of The Counselors today, for just the price of a cup of coffee.